Isuzu Commercial Truck of America, Inc.
David Schaller has a national litigation practice focused on complex commercial litigation. He routinely defends clients against claims involving business torts, insurance bad faith, professional liability, products liability, and personal injury matters. 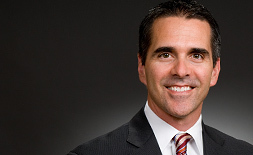 Dave has extensive experience representing major companies in disputes related to franchise, distribution and trade agreements, including winning precedent-setting judgments for his clients. He has successfully tried cases and arbitrations, conducted evidentiary hearings, prevailed on dispositive motions, and negotiated highly favorable settlements in jurisdictions across the country. Dave spent 12 years in business before entering law. During this time, he developed firsthand experience with the types of challenges and disputes his clients bring to him now, including contractual breaches, employment claims, competition issues, vendor agreements, and real estate transactions. This background heavily informs Dave's practice and helps him walk in his clients' shoes. He efficiently and creatively resolves legal disputes while safeguarding the relationships that help his clients' businesses thrive. Ballard, Spahr, Andrews & Ingersoll, L.L.P. David Schaller represents clients in franchise and distribution disputes, business torts, insurance bad faith, and professional liability matters. He relies on his significant prior experience in business to appreciate his clients’ priorities relating to complex commercial disputes. Serving as regional trial counsel to a leading national shipping company. Star Funding v. Tire Centers, et al., 17-1074 (2nd Cir. 2017) - Won Second Circuit affirmance for a Michelin subsidiary upholding summary judgment from the Southern District of New York. The case involved fraud perpetrated by a former employee and a third party. Century Motor v. FCA US (Mo. Ct. App. E.D.) - Won a significant appeal for FCA (Chrysler) in the Missouri Court of Appeals relating to a 2014 jury trial WTO won for Chrysler. Following trial, the judge entered a declaration in favor of the plaintiff on one remaining count. The Court of Appeals reversed following WTO's successful argument. Represented an international shipping and package delivery company in numerous arbitrations involving independent contractor classification. Won a complete defense verdict in a jury trial for an automotive manufacturer on claims challenging major aspects of the business operation. Represented a major oil producer in arbitration to recover damages stemming from a business partner's breach of contract. Represented major automotive manufacturers in litigation involving dealer terminations in Oregon and Colorado. Represented a major REIT in class action arbitration initiated to recover damages related to a natural disaster. Century Motor v. Chrysler (Mo. 2014) - Won a complete jury verdict for Chrysler Group LLC in a Missouri lawsuit involving an automobile dealer plaintiff claiming damages of tens of millions of dollars. Represented USAA as national trial and coordinating counsel in all medical payments and PIP lawsuits nationwide. Obtained complete dismissal of a ten-count discrimination complaint against a Fortune 100 client. WTO won the ensuing appeal to the Tenth Circuit, affirming the trial court's dismissal in full. Juwi Solar v. Maynard (Colo. Boulder Cnty. Dist. Ct. 2013) - Successfully represented employers in noncompete and trade secret litigation, including obtaining injunctive relief against a former employee of a solar power plant developer for violation of noncompete and nondisclosure agreements. Defended an investment advisory firm in Cook County, IL against a $10 million professional negligence claim. After a two-week trial, the jury found for the defendant. Represented a managing partner in a $5 million suit between law firm partners with respect to claims of fraud and mismanagement. After a two-week trial, WTO's client prevailed on fraud and mismanagement claims, and the Court ordered an accounting and liquidation of the firm. Co-managed with one other law firm the response to requests from 418 dealers for arbitration relating to the bankruptcy of Chrysler Group LLC and following Chrysler's termination of those dealerships. WTO litigated 187 of these Section 747 arbitrations, and, as directed by Congress, resolved all of the litigation within seven months. Larry Menke v. DaimlerChrysler, 90 Cal. Rptr. 3d 389 (2009) - Won affirmation for Chrysler before the California Court of Appeals in an opinion that established favorable precedent for manufacturers operating in California. The Court affirmed a trial court's complete dismissal of claims against Chrysler for rejecting a prospective dealership purchaser. Represent major automotive manufacturer in defense of product liability claims involving varying designs of sport utility vehicles. "Business Documents and Document Drafting From the Perspective of Litigators – The Big Blunders!" presented to the Colorado Bar Association, Business Law Institute (September 15, 2016). "The Lifecycle of Litigation – Avoiding (Or Managing) A Trainwreck," presented to the Colorado Bar Association, Business Law Institute (September 15, 2016). Trial Coach, Colorado Defense Lawyers Association Annual Trial Academy (April 20, 2016). Panelist "What Business Lawyers Do That Litigators Love: Your Worst Nightmares," presented at the Colorado Business Law Institute (October 28, 2015). "A Roadmap for Successful Arbitration," presented to the Association for Corporate Counsel Colorado Chapter (May 3, 2012). 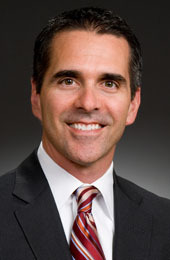 Law Week Colorado, "Wheeler Trigg O'Donnell Names Five Partners," November 22, 2011.